The Trans Niger Pipeline in Gio, Tai Local Government Area of Rivers state has been shut by Shell Petroleum Development Company (SPDC) of Nigeria Limited. This was disclosed in a statement issued by the SPDC spokesman, Mr Joe Obari in Port Harcourt on Tuesday. The spokesman said that a fire was observed on the right of way of the pipeline (TNP) at in Ogoni land. Obari said pipeline is also the right of way of the Bonny–Refinery pipeline belonging to the Petroleum Products Marketing Company (PPMC), a subsidiary of Nigeria National Petroleum Corporation (NNPC). He said that a joint investigation would determine the cause and impact of the fire. “SPDC has shut the TNP as a precautionary measure pending the investigation,” he said. 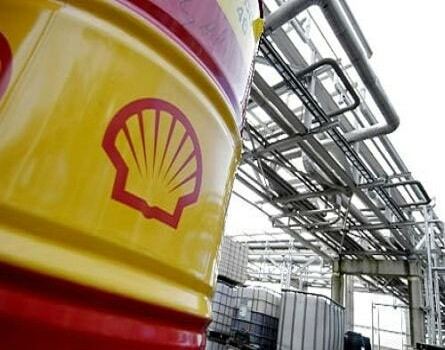 It was not clear whether Shell was referring to the same BonnyCrude Export pipeline, which the Niger Delta Avengers claimed its men damaged on Friday last week. The Trans Niger Pipeline is one of two major pipelines that carries the Bonny Light crude grade for export. The Anglo-Dutch oil giant is joined at TNP by the Nigerian National Petroleum Corporaton (NNPC), French multinational company, Total and Italian major Eni’s subsidiary Agip. The shutdown comes as repairs are completed on the Nembe Creek Trunk Line (NCTL) that also moves the major export grade. It is not clear whether this is linked to the recent report of act of sabotage by the Niger Delta militant group, Avengers, as Shell had initially declined to confirm the report or whether oil export has been compromised. Buhari brought us to this point and he still lives in the blame culture attitude close to 18 months in government. Buhari has long re-defined the change in his own terms, what a self denial. I feel pity for the multitude of people who were deceived into voting him and who are still expectant. I already knew, no good can come from evil Buhari. The past administration was no good anyway, we know, but we had freedom of expression and few other goodies, we needed change from their past misrule in many areas. In Buhari government we have lost everything including our individual identity. We now live in fear and hopelessness. Buhari uses every government apparatus as a tool of terror to run down anybody who speaks or write or advises his evil government. There is evil in the land yet nobody can speak but few like FKK. Buhari is the worst thing that ever happened to Nigeria. Buhari has even re-defined corruption, he does not consider speedy Islamisation and northernisation of Nigeria as corruption, or consider his nepotism in government as corruption or his favouritism in civil and public service employment as corruption, or his selective approach to the fight against corruption as corruption, what is now corruption, tell me, I want to know. Every day together with most Nigerians we secretly pray that disaster should befall him and his evil government. Amen!